This tire assembly has a 22x9-10 Kenda Pathfinder tire with a rim that has 1/2" bolt holes (4) on a 4" bolt circle. Choice of Left (Driver side) or Right (Passenger side), tires are rotation specific. 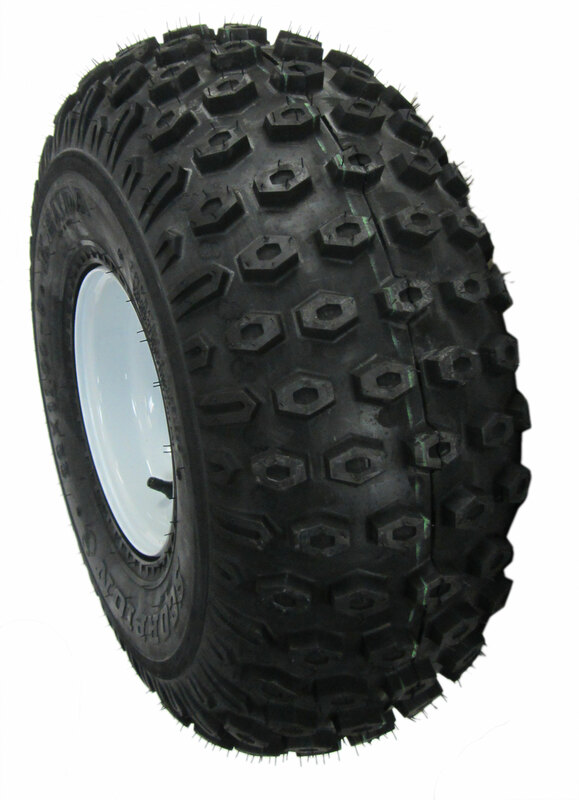 This is a compatible front tire assembly for the Yerf Dog CUV 4x2 utility vehicles (Scout, Rover, or Mossy Oak). Center bore on rim is 2-1/2"